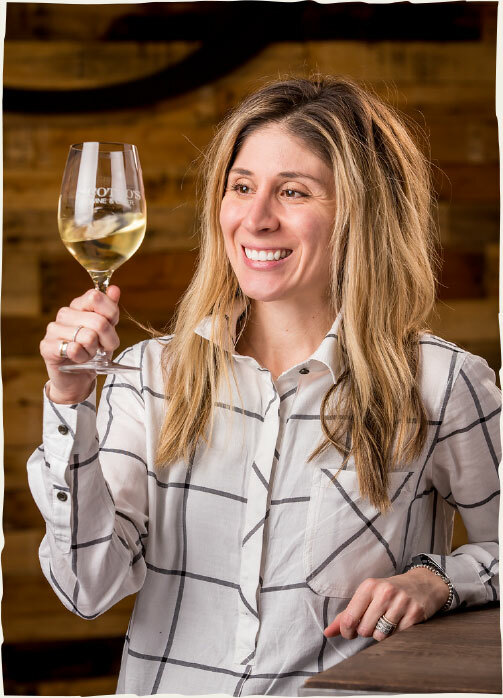 Natalie is an integral part of the Scotto family's fifth generation of company leadership as COO and Operations Director of Scotto Cellars. She is also a Proprietor of both Steele Canyon Cellars in Napa Valley and the J. Woods Beverage Group headquartered in Concord, CA. Her history and accomplishments over the past ten years with the Scotto family's diverse wine and cider portfolio is a testament to her inner drive and wide ranging business acumen. She has broken through the "glass" ceiling in an industry dominated by her male counterparts and achieved a level of expertise that is a tribute to those few women who have preceded her and, hopefully, a model for the many that will follow. After graduating from University of California Santa Barbara (UCSB) in 2006 with a major in Sociology and a minor in Education she planned to pursue a career in education rather than joining the family business. But Natalie's brother Anthony asked for her help in the formation of Scotto Cellars and the development of both production and distribution programs. So she agreed to "sign-on" for a year and soon caught the wine and management "bug." Natalie looks at her business career as a natural extension of her academic studies. "Business is about people and personal relationships while education is a fundamental ingredient in creating both business and sales plans, managing a sales force and establishing a brand." Natalie's business life is a natural extension of her family's history and love of wine as it was always a normal part of the Italian family's meal time enjoyment. "Talking about it around the table at the traditional Sunday night dinner with my parents, sisters, three brothers and extended family was just something I thought everyone did." Natalie and her husband Josh love life with Lucy, their precious English bulldog, who is always ready to stroll with them on the street or in the woods. Natalie is an indoor cyclist and along with Josh loves hiking, yoga and watching "their" Warriors and Giants. When reflecting on her role as a woman in a male dominated business, she is not intimidated nor does she see it as a reason to do things differently. As Natalie says, "Creating a 'synergy and vibe' with the sales staff and customers is exciting and the realization of sales and management goals channels my energy for future achievements." I'm wine by blood and cider by choice! Paul grew up in Pleasanton, CA ("just hanging out in my grandfather's winery") where he learned about the Scotto family's four generations of winemaking history dating back to 1883 in Ischia, Italy. To fulfill his destined role within this great tradition for the fifth generation, Paul attended UC Davis where he refined his winemaking and business skills..
After graduation Paul wanted some independent experience and worked seven years in both winemaking and green waste and construction equipment sales to broaden his winegrowing and production knowledge. He joined his family in 2009 as the Director of Winemaking for their Lodi, Amador and eventually Napa Valley wineries where he continued his passion for the creation of small lot premium wines focusing on the vineyard's expression in the finished product. Paul's enviable award winning portfolio includes numerous wines from all three wineries including both varietal examples and finely balanced blends. In 2010 he launched his own Sera Fina Cellars in the historic Gold Rush community of Amador to focus primarily on Italian and Rhone varietals and blends. Paul's love of blending and innovation carried him beyond his vinous history to another "unique adult beverage" that has taken off under his leadership alongside the Scotto family wines. 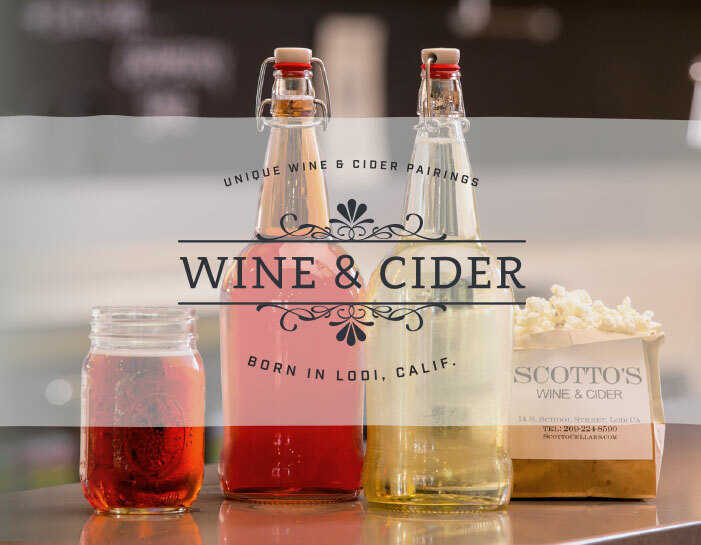 In 2014 Paul teamed-up with his brother Michael to pursue this "second" love of premium hand-crafted ciders with the launch of the Cider Brothers portfolio produced in the family's Lodi winery. Along with the traditional hard apple ciders everyone expected, he expressed his love of blending with the pioneering combination of Pinot Grigio and apple cider. This novel idea generated a roaring reception among consumers and critics and continues on with many other cider creations as well. 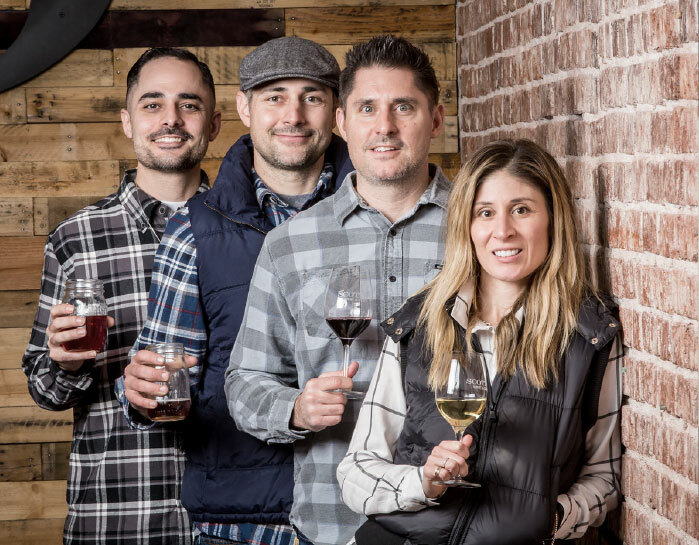 When not working feverishly in the vineyard and winery (or avidly following the Golden State Warriors), Paul cherishes his time with his wife Whitney and their three energetic sons Dante, Luca and Carlo and enjoys a wide variety of sports and family outings. Paul's energy and commitment drive him to pursue the family's stellar history for the fifth generation as a guiding force for the entire Scotto portfolio of wine and cider. Life's a gamble and cider is the jackpot! 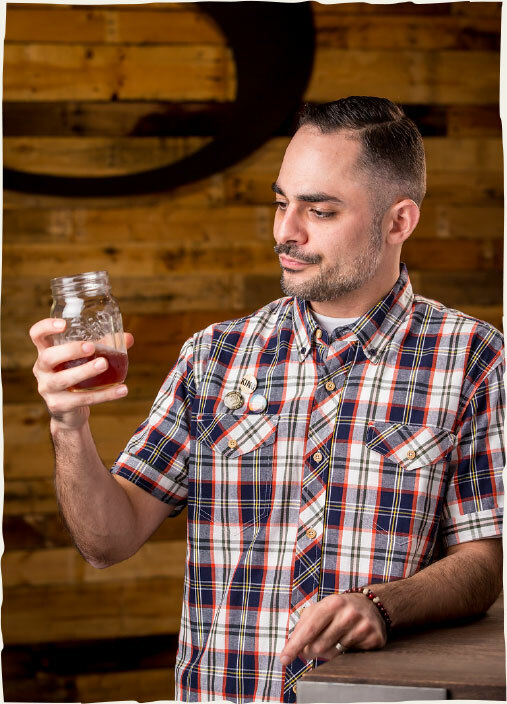 After completing his education at San Joaquin Delta College in Stockton, CA, Michael decided to step out on his own to earn a living and become an independent thinker. A tough decision but one that truly paid off in the end. After a short stint working in Livermore he joined a legal document service company covering the Central Valley from Fresno to Redding and quickly rose through the ranks to become Production Manager. After following this path for nine years the family business called and Michael joined Scotto Cellars at the bottom rung to learn the business and expand his horizons. "My dad gave me the tools I needed to succeed but left it up to me to make it all work." 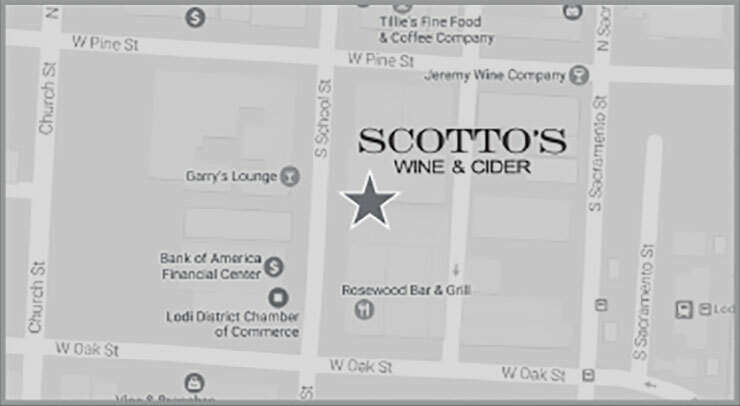 Today Michael is at the epicenter of production and logistics for Scotto Cellars and a partner with brother Paul Scotto in Cider Brothers. 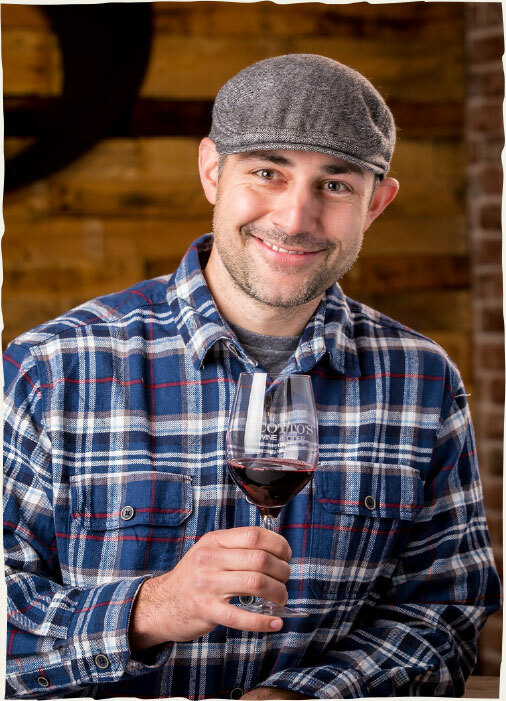 Everything Michael learned during those nine years after college has been applied to his current position as General Manager for Production at Scotto Cellars and co-owner of Cider Brothers. In this capacity Michael is responsible for all domestic and export packaging materials and order fulfillment for the entire product range. As he often says, "I have to keep my head on a swivel in my role of overseeing the production and logistics of 40 plus wine brands with multiple wines under each brand and the extensive cider range as well." Michael lives in Tracy, CA with his wife Mirella (better known as Mimi) and their three vivacious daughters - Giana, Milania and the youngest Siena. Giana is an avid soccer player and gymnast while Milania is involved with dance and now learning gymnastics. Michael is a big sports fan and enjoys visits to Lake Tahoe for snow days in the winter and some hiking in the summer. He learned a love of cooking from his mother and always looks forward to his own family dinners where they can all share the day's events. Scotto Cellars and Cider Brothers are lucky to have Michael with his organizational skills on board in such a pivotal role for the company. Anthony (affectionately known as A3) developed an early love of family, history and reading from his grandfather Anthony Sr. at their traditional Sunday night family dinners. Anthony is the oldest of the six Scotto siblings, and through his grandfather's stories developed a deep sense of the family's purpose and history through five generations from Italy through Brooklyn and on to California. A3 took his insatiable desire to read and love of history to San Diego State University where he graduated in 2000 majoring in 19th Century history with a focus on European nationalism and its resulting influence on 20th Century life. After graduation Anthony stayed in San Diego and worked in sales with Crest Beverage covering 24 chain accounts with a portfolio of prestigious beer brands. In 2003 he returned to Northern California and launched Scotto Cellars under the tutelage of his father A2 (Anthony Scotto II) and the expert guidance of John McClelland - a wine industry icon dating to the mid-1960s. John was introduced to A3 through his dad and became a mentor as well as a treasured friend, a relationship that continues today. 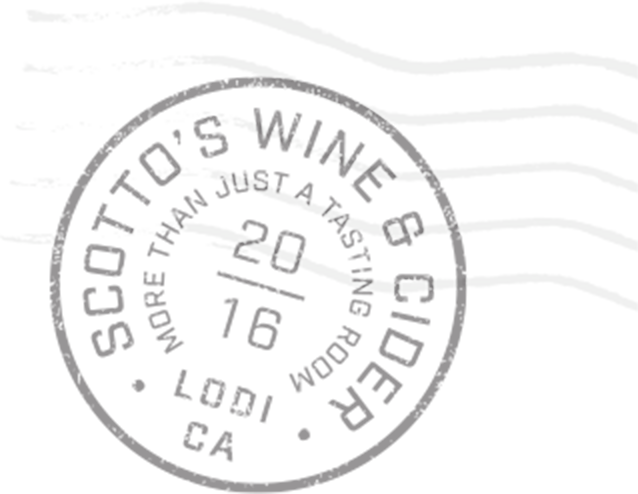 John helped Anthony by introducing him to a national wine distribution network for Scotto Cellars, but also connected him to the culture of the wine industry. By understanding this culture Anthony crafted the foundation for both his personal and Scotto Cellars' success. Next to history and literature, A3 is a "music junkie" who loves it all but has a special attraction to Rock & Roll. Some of his favorites are the Beatles, Metallica and many others who represent the reverence of music that transcends time. In 2006 Anthony married Alyssa and they have three amazing kids - Santino, Nola and Roman - who are all passionate about their favorite activities. Santino favors basketball and Taekwondo, Nola loves the piano and Roman is playing t-ball to his parent's delight. Both Alyssa and Anthony also share a of love of sports and have become (as he clearly states) "exercise nuts." 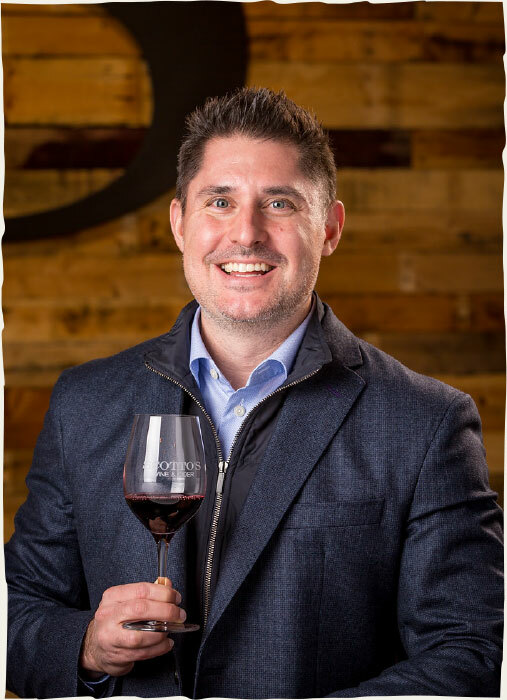 As CEO of Scotto Cellars, Anthony is involved in all aspects of sales, marketing, operations and finance. But his most important attribute is a sense of vision in planning the company's future direction by looking years down the road instead of being boxed in by quarterly objectives.